App-enabled fitness and health devices along with smart glasses to drive consumer demand. A new report from Juniper Research finds that there will be a total of almost 70 million smart wearable devices sold in 2017, including smart glasses, health and fitness devices along with enterprise wearables, compared to almost 15 million sales in 2013. 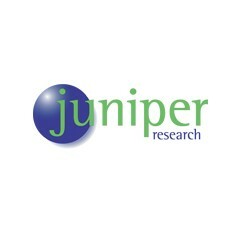 Juniper envisages significant adoption towards the end of the forecast period, driven by the launch of augmented reality glasses and similar products from Google, Microsoft and Apple. The new Smart Wearable Devices: Fitness, Healthcare, Entertainment & Enterprise 2012-2017 report indicates that fitness and sports wearables, followed by healthcare devices are forecast to dominate the market with a combined market share of over 80% in the final forecast year 2017. However, even though the number of fitness and sports devices bought per year is higher than the number of healthcare devices sold, the health sector will be slightly larger in terms of retail value due to higher price points. The report further notes that as the retail price for smart glasses decline towards the end of the forecast period, the adoption level amongst consumers will increase by 2017. The report finds that the development of an app-ecosystem for wearable devices is essential to create a platform for further broadening the role of wearable devices similar to the smartphone app ecosystem. Next-gen wearable devices market, including smart glasses, will be worth more than $1.5 billion by 2014, up from just $800 million this year. The ‘Wearables ~ The Next ‘Smart’ Thing whitepaper is available to download from the Juniper website together with further details of the full report.